Building a brand new bicycle, thinking outside the box (or the wheel shackles) is not an easy task. But no one should compromise their ability to ride a bike. Even the biggest 29er or 700c bike feels cramped and wobbly for us tall. Even a custom sized frame. The bike’s center of gravity gets skewed way off from where it was engineered to be. That’s just the reality tall friends. Some try to adapt, buying the longest seatpost and stem you could find, but now your bike handles like a joke. Worst of all, you can’t put any power down because the cranks are half the length of your foot. It’s frustrating that nothing fits, but it seems like us tall riders are just gonna have to deal with it. We’ve lived our whole lives in a world too small for us, and it doesn’t look like that’s changing. First of all, 36″ is just about 25% larger than 29″. So 29er riders, think of all the things you love about your hoops: efficiency, traction and approach angle. 36″ shames 29er. Once the wheels are up to speed, they cover ground at an unbelievable rate. Think about it, each rotation means significantly more forward motion. Grip? Like glue. The contact patch that 36″ provides means incredible traction, regardless of tire tread pattern. Fatbikes have their work cut out for them topping 36″ through snow and deep sand or loose-over-hard conditions. 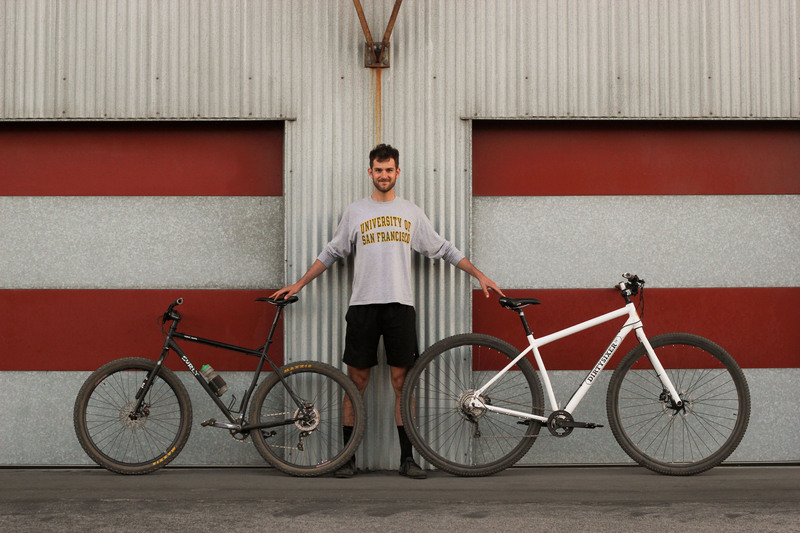 6’10” Alex Leanse our test rider with his XXL Surly Karate Monkey 29er bike. OK 26″ luddites, there’s no denying that your wheels are probably lighter weight and can weave through technical terrain better. They will still work well for anyone under 5’10”. But why bother going THROUGH something when you can simply roll OVER IT? With the approach angle inherent to 36″ wheels, roots, rocks, and staircases are nothing. It simply steamrolls the ground ahead of it. Mark is 7foot tall. He is riding one of our first prototype here, built for riders his size and up. The only option for you is 36″. Swing a leg over a DirtySixer and experience what you’ve been missing! 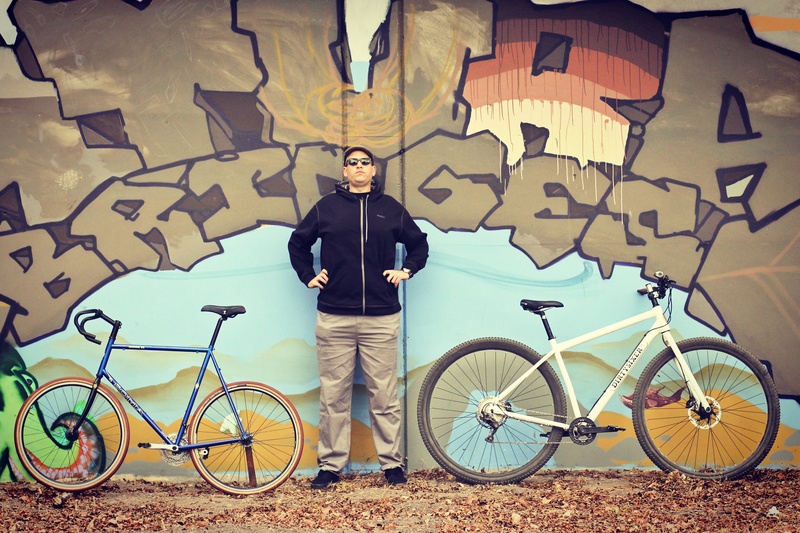 DirtySixer is the only company that builds custom 36” bikes specifically designed for tall cyclists. 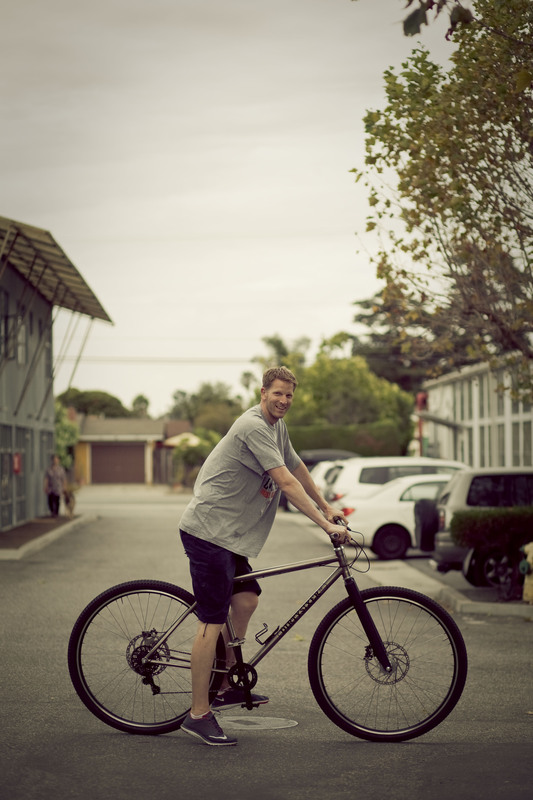 Basing our designs on the 36″ wheel, we build frames that accommodate the longer dimensions of extra-tall riders. Stop compromising. Get the real big bike you deserve.